Click on Edit link next to Members column in the details pane. On the Group page, Click on Add Members button >> Search and select users you wish to add to the group. You can find and add multiple users in a single stretch. Click on "Save" once you are done! You'll see "Group membership was updated and will take effect immediately." message. How to Add Users to Office 365 Group using PowerShell? 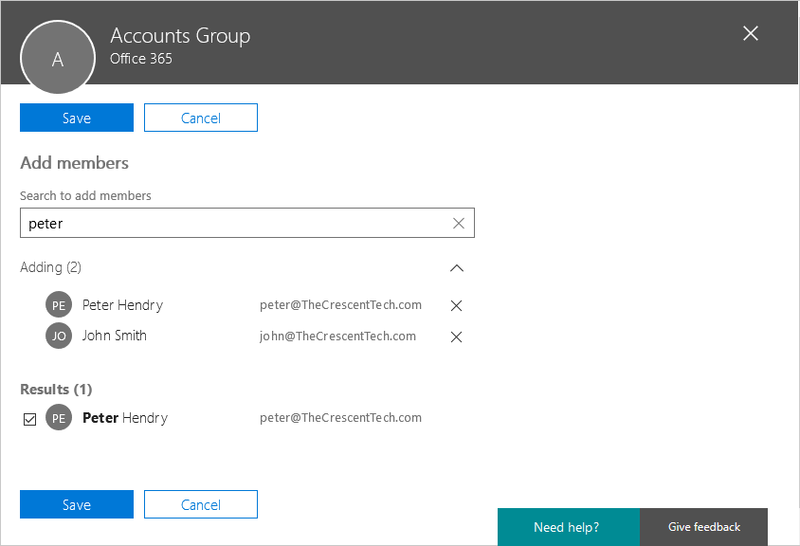 Let's add "John@TheCrescentTech.com" to "Accounts@TheCrescentTech.com" Office 365 group using PowerShell. Add-UnifiedGroupLinks –Identity "Accounts@TheCrescentTech.com" –LinkType "Members" –Links "john@TheCrescentTech.com"
Likewise, you can add multiple users comma separated. E.g. 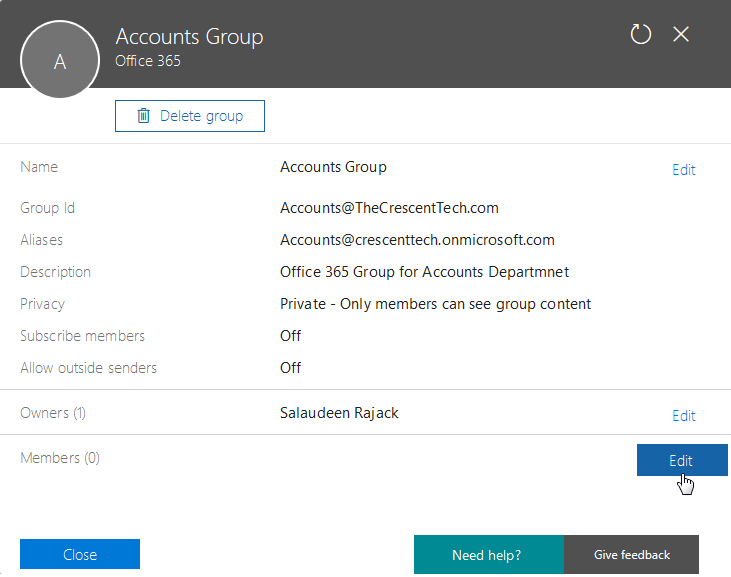 Add-UnifiedGroupLinks –Identity "Accounts@TheCrescentTech.com" –LinkType "Members" –Links "john@TheCrescentTech.com","peter@TheCrescentTech.com"
Write-host -f Green "Added Member '$($_.Member)' to Office 365 Group '$($_.GroupID)'"